Smoking is the single greatest preventable cause of premature death and avoidable illness. It affects health directly and contributes to diseases such as cancers, coronary heart disease, lung disease and stroke as well as many others. Tobacco is killing more people in NI than illegal drug use, road traffic accidents, suicides and AIDS combined. Twenty three percent of the population of Northern Ireland are smokers with smoking causing 2300 deaths each year in Northern Ireland and 120,000 deaths UK wide. Approximately half of all regular cigarette smokers will eventually be killed by their habit as each cigarette shortens the lifespan by five minutes, which on average shortens the smoker’s life by 10-15 years. 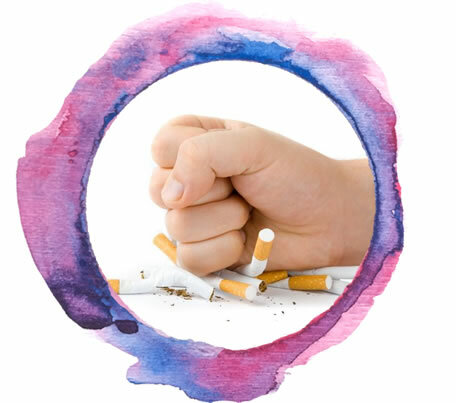 Smoking 20 cigarettes a day costs a person approximately £2920 per year (depending on costs per packet) Seventy percent of smokers want to give it up but find it extremely difficult because of their addiction to tobacco. Nicotine and carbon monoxide levels in blood are reduced by half, oxygen levels return to normal. Carbon monoxide will be eliminated from the body and the lungs will start to clear out mucus. Coughs, wheezing and breathing problems improve as lung function increases. Risk of heart attack falls to half that of a smoker. Improved sense of taste and smell. Fewer allergy and sinus problems. Improvement in existing problems such as asthma, diabetes and emphysema.